Many chose to give the weekend releases a miss for Valentine’s day dates and the India-Pakistan match. Thank god for that. But, if you are not one of those intelligent ones, we are sorry for you. Did you spend Sunday night drinking profusely too, trying to forget the abomination you had paid to witness? Directed by Vikramjit Singh and starring Ranbir Kapoor, Arjun Rampal and Jacqueline Fernandes, Roy is nothing but a misleading con show. It starts with a mysterious psychological drama but soon, you realize that you are expecting too much out of it. You know a film is bad when everybody in the theatre is either talking on their phone, ordering food incessantly or (this was seen only during Roy) posing and clicking selfies. Mayank Shekhar’s review of Roy says, “Forget the script. Between three actors, two stories and an over-priced movie ticket, plays out the ultimate con game I’ve seen of late as I look back at a half-packed hall for a 9:40 am show in anticipation of a Ranbir Kapoor picture, or any picture at all. “Roy is so tangled in its inflated, erratic ideas of a pseudo mystery that it ceases to make sense even before it takes off,” says Sukanya Verma of Reddiff.com. “So here are my questions. Who wrote this? Who is it for? The mystery and the enigma, which are set up lazily and obviously, never really take root. I haven’t seen something as fuzzy and dreary as ‘Roy’ in a long time: just what is Ranbir Kapoor doing in a movie like this?” asks Shubhra Gupta of Indian Express. “It’s not a film but blind self promotion. Watch it only if your survival depended on it. It’s another Gunda (Kanti Shah’s film) in making,” says Rohit Vats of Hindustan Times. Roy – One star, because we love Ranbir and Arjun. We also want to know what they were smoking when the script was narrated to them. Wait. Was there a script at all? 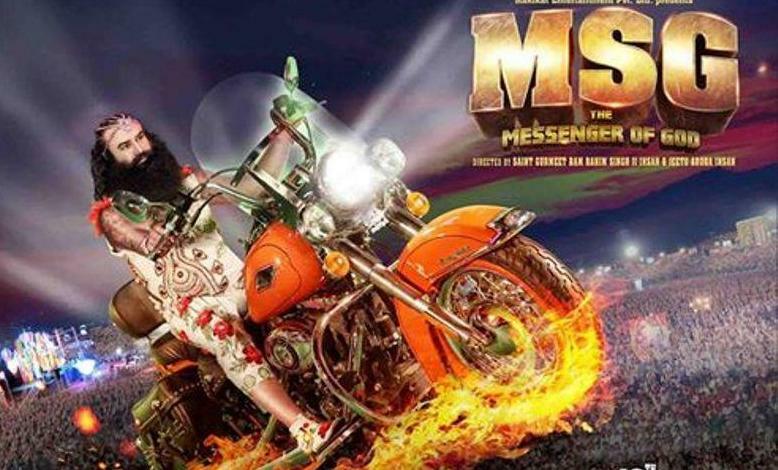 MSG – We’ll go with Raja Sen on this one – No rating. This is not a movie.